App Video Production Service | Rewatchable, Inc.
Rewatchable is well known around the Boston area for business video production. Essentially, we help businesses tell their story with powerful and compelling videos. However, for more than a year we’ve had a sister website – www.rewatchableapps.com. At RewatchableApps, we help app developers, app publishers, and app marketing companies with app video production. We believe screen shots just don’t cut it any more in the crowded app marketplace. With nearly 1 million apps in the Apple app store it is simply harder and harder to get noticed. Users are tired of downloading apps they want to delete 5 minutes later. With our app video production service, we create powerful, fun promotional videos that really sell the value of any app. If you want your organization’s story told with video or if you want to tell your iOS app and Android app’s story with video give us a call @ 978.666.4068. 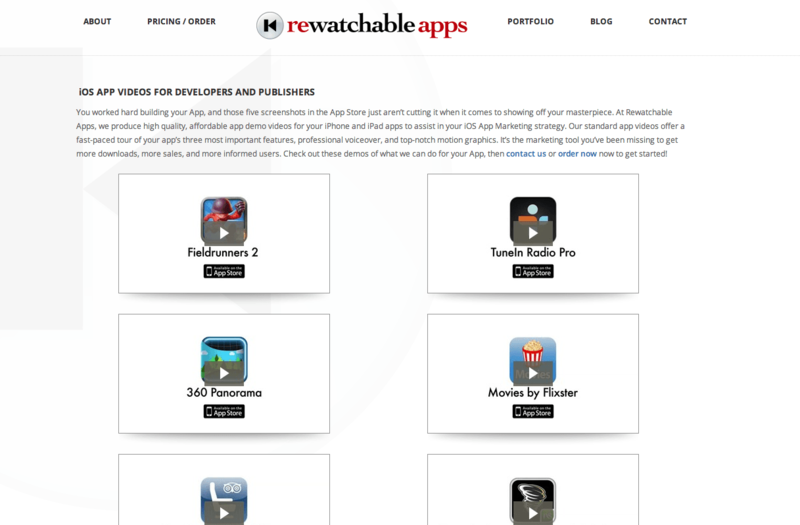 Rewatchable Apps is an App Video Production Service Rewatchable, Inc. is a video production company based near Boston.